IP Australia has granted Homestay Network Pty Limited a trademark for our distinctive logo. Homestay Network has continuosly used the logo continuously for the business for over 20 years. The logo has appeared on: banners; mugs; pens; newsletters; letter head; websites; etc and was instantly recognisable both within and outside the homestay industry. We couldn’t have achieved this outcome without the assistance of K&L Gates (formerly Middletons) and especially Chris Round and his team. The distinctive red, blue and white device was opposed by Australian Homestay Network as being similar to their trademark in a different trademark class. We had taken great care with our application to ensure there was no similarity between applications. 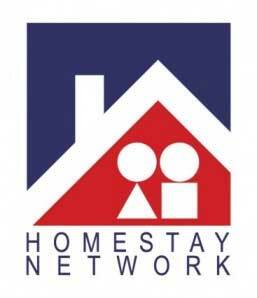 The only commonality between the two images is the words “Homestay” and “Network” which feature differently in the logos. We had already tried, without success, to register the words “Homestay Network” as a trademark with IP Australia advising us that descriptive words are not registrable. They did suggest that we trademark the logo device as it featured more prominently in material submitted to support the registration of the words “Homestay Network”. The trademark took over to years two move from application to acceptance. Homestay Network is a proud supporter of Hornsby/Ku-Ring-Gai’s community radio station Triple H 100.1 FM.